Turnkey Furnished - Gorgeous Castella Casita in unique building of only 3 units open on 4 sides only 1 block from the Village Center and amenities. Lives like a single family home! Meticulously clean and upgraded with crown molding, granite countertops throughout and state of the art newer stainless steel appliances in the kitchen. A house full of brand new furniture, hardwood floors on lower living level, newer carpeting in all 3 bedrooms, beautiful top grade plantation shutters and custom floor to ceiling sun shade on patio door and windows.The Village center amenities include a resort style swimming pool, with a waterfall, tot pool and playhouse, spa, sand volleyball, tennis, bocce and basketball courts. A state of the art fitness center, movie theater, Pub, Bistro, ice cream parlor, library and business center. This is a resort community close to restaurants, shopping, boating, beaches. There are 3 golf courses, 2 are public. 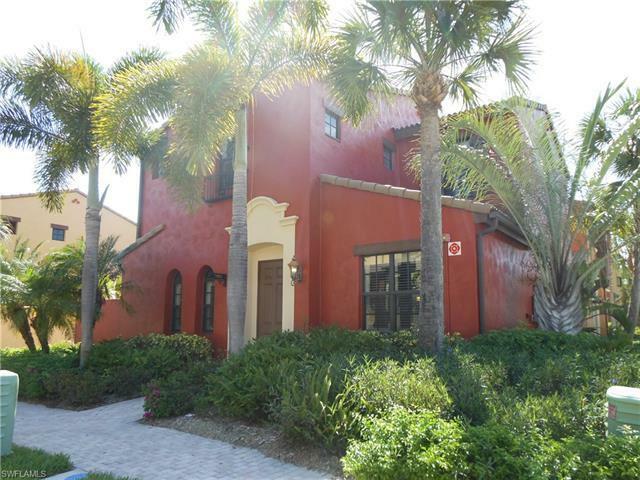 This community is part of Lely Resort which is only 7 miles to downtown Naples and Marco Island. There is a nearby state of the art hospital and public library. You will not be disappointed with this one!